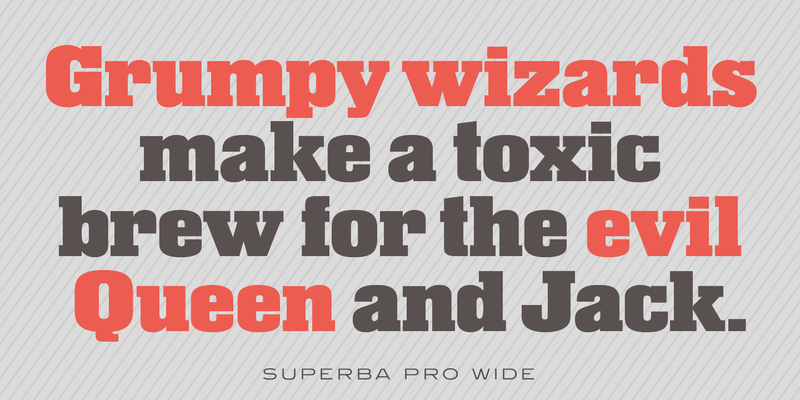 Superba Pro is a condensed Egyptian font family with short ascenders and descenders. The dots on the lowercase ‘i’ and the German umlaut-vowels are square. 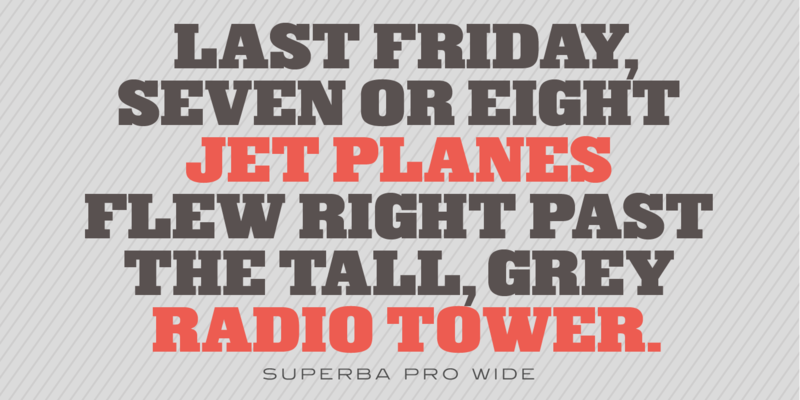 Haas Type Foundry created the original Superba in 1928-1930. Steve Jackaman (ITF) designed and produced a digital version of the bold weight in 1992. 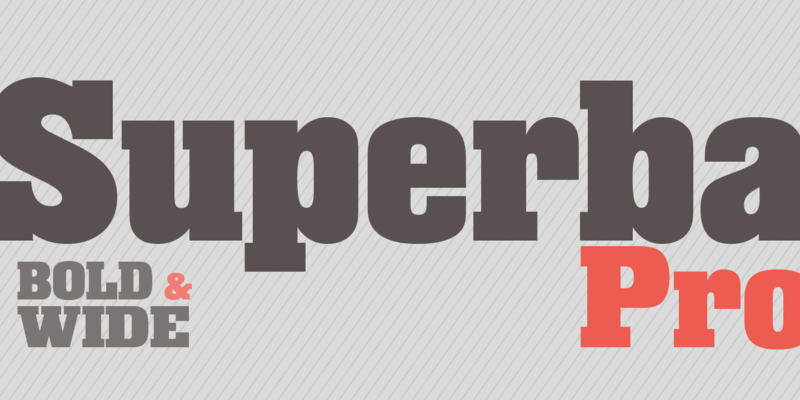 In 2017, Jackaman completely redrew the bold weight, added an accompanying wide weight, and expanded the glyph set to support Central and Eastern European languages. 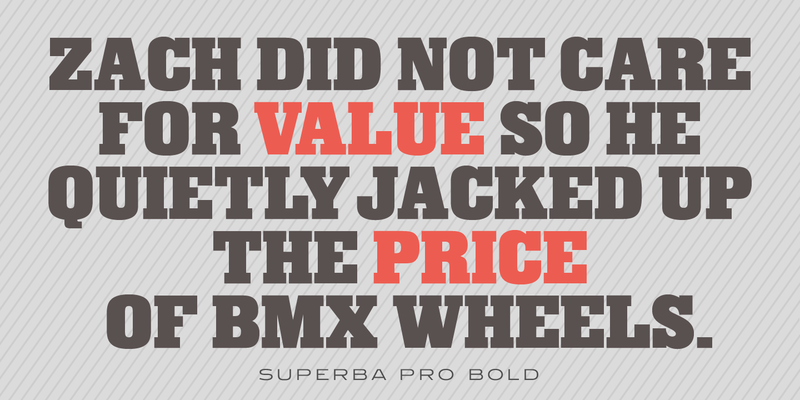 Like other slab serif faces, Superba excels at display sizes and is comfortable at subhead sizes. ­ It is robust, and has “superb” legibility, allowing it to dominate attention in any project it is utilized in. 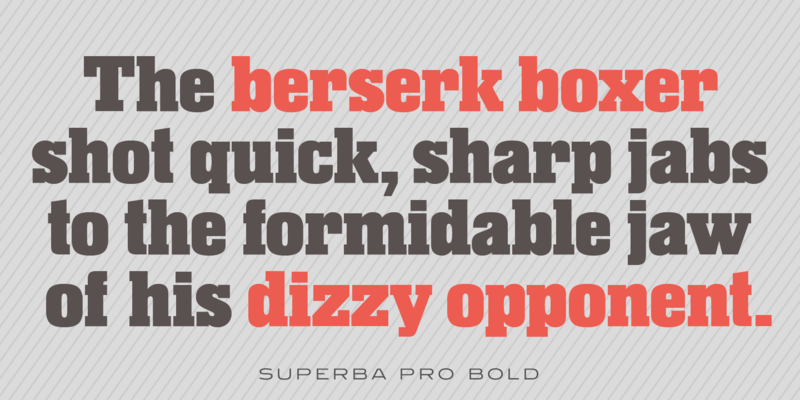 Superba Pro is a trademark of International TypeFounders, Inc.